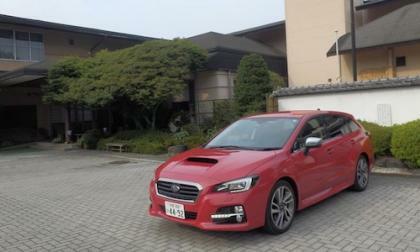 Subaru has released sales info the performance Levorg Sports Tourer and demand is high. Will we see the performance wagon here in the U.S.? 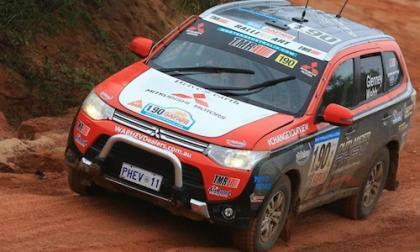 The Mitsubishi Outlander PHEV completed the tough Australasian Safari 2014. MMC will use the technology for future electric vehicles like the Lancer Evolution successor. 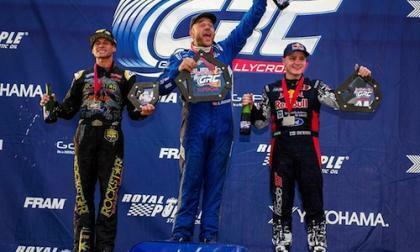 Isachsen battled all year in the Subaru WRX STI and gets first win at Red Bull Global Rallycross Seattle. What happened to points leader Ken Block? 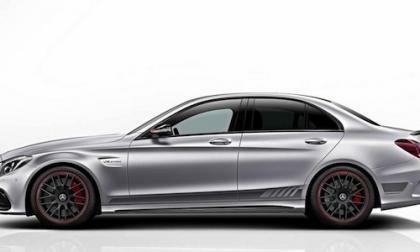 The all-new 2015 Mercedes C-Class gets two new models from AMG. The exclusive Mercedes-AMG C63, and C63 Edition 1. 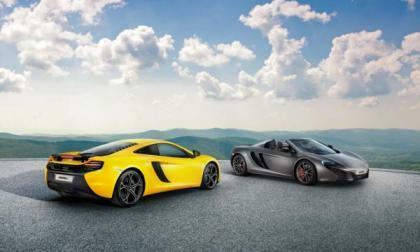 In the British sport car maker's first regionally-tailored model, the McLaren 625C aims to entice Asian buyers into a supercar embrace. 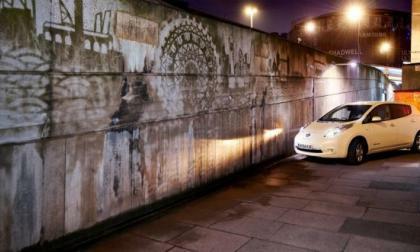 A Nissan LEAF is powering a "reverse graffiti" artist in London, creating street art out of street grime. 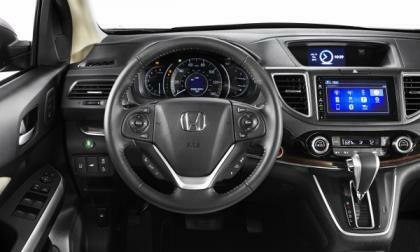 Honda’s a company known for superior initial purchase value, reliability, safety and the highest residual resale value in the industry. We believe that the refreshed 2015 CR-V will raise the bar for standard feature value across North America’s growing SUV segment. 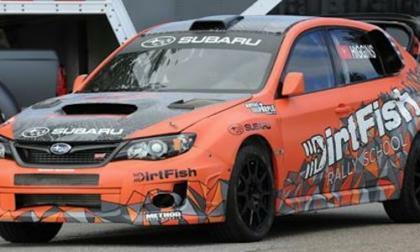 Higgins is a wild card driving the new DirtFish Subaru WRX STI today at Red Bull Global Rallycross in Seattle. Will the conditions give him an advantage? 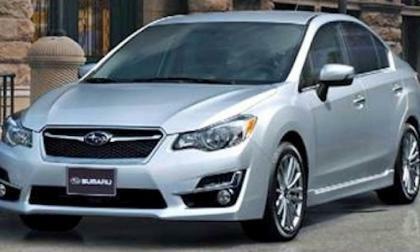 To boost fuel efficiency on the new 2015 Impreza, Subaru pulled out all the stops. Here’s 5 ways they went all-out to do it. 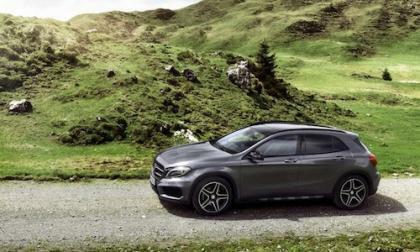 The new 2015 Mercedes GLA45 AMG is set to launch. Can anyone really compete with the high-performance SUV from AMG? 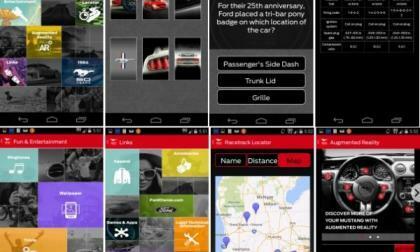 In addition to all of the other exciting new features of the 2015 Ford Mustang that will make owning one a complete delight, Ford Motor Company has also cooked up a unique smartphone app that will allow owners to explore the features of the new Mustang with some interactive help – while also learning more about the history of the Mustang and finding the closest drag strip. Could the Trackhawk Replace the Jeep Grand Cherokee SRT - or Pack Hellcat Power? When the SRT brand folded earlier this year, the future of the Jeep Grand Cherokee SRT was questionable and while there is still no official word from Chrysler, it seems that the SRT Jeep could end up wearing the name Track hawk - or this could be the name of the Hellcat Hemi powered SUV. 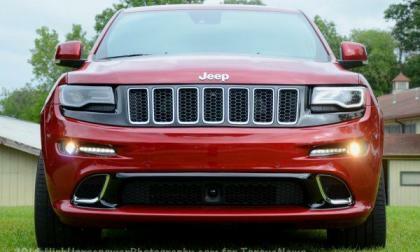 Read more about Could the Trackhawk Replace the Jeep Grand Cherokee SRT - or Pack Hellcat Power? 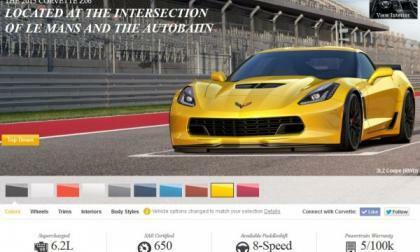 The configurator page for the 2015 Chevrolet Camaro Z06 is now live on Chevrtolet.com, giving us our best chance yet to see the new American supercar in full detail, including all of the wheel, color and trimline feature information – but all without the pricing. 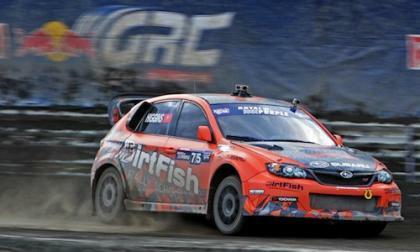 David Higgins will be driving a new Subaru WRX STI car at Red Bull Global Rallcross in Seattle. What’s the new DirtFish livery about? 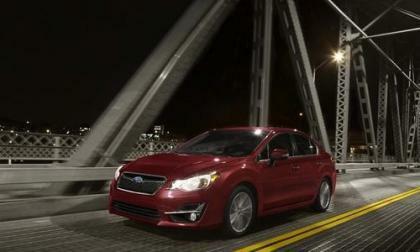 The new 2015 Subaru Impreza gets a new look, but it will be available with one new technology. Why will it be now be the safest compact in the world? 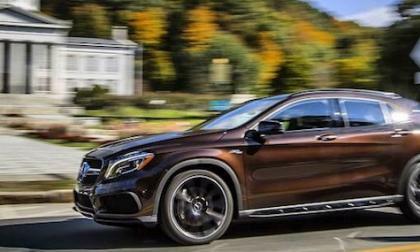 The all-new 2015 Mercedes GLA-Class is here and it’s a multi-talented machine. What’s so attractive about the new compact luxury SUV? 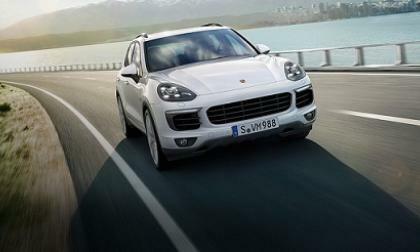 For the 2015 model year, Porsche has ditched the outgoing Porsche Cayenne Hybrid in favor of a plug-in version. Here’s why it will do well. 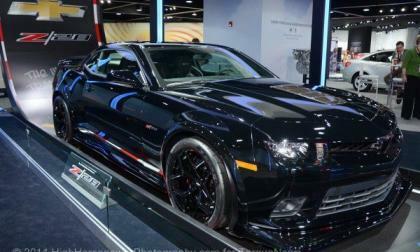 The folks at Motor Trend have compiled their list of the best driver’s cars for 2014 and after putting 10 performance models head to head, the 2014 Chevrolet Camaro Z/28 was chosen as the best of the bunch – beating a collection of cars that vary from the Ford Fiesta ST to the Porsche 911 Turbo S to the BMW i8. 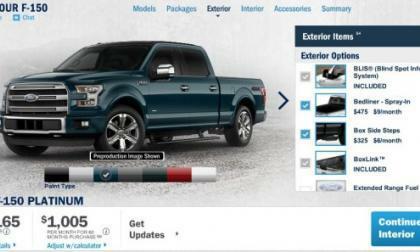 If you have eagerly been waiting for your chance to build your ideal 2015 Ford F150 today is your day, as the configurator tool on Ford.com for the next generation F150 is finally live – with all of the pricing and option information you could want. 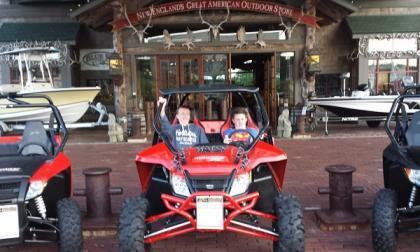 In select markets America's outdoor store and kid's dream emporium now has one more climb-on toy to park in front. 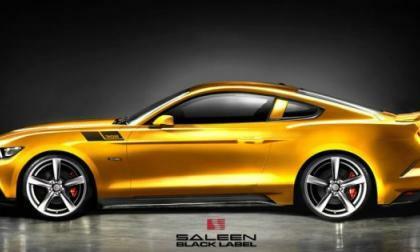 We haven’t seen the new 2015 Saleen S302 Mustang from all sides, but thanks to the release of the product guide for the super-tuned next generation pony car, we know that the 2015 Saleen Mustang will come in three different trimlines at launch with varying power outputs ranging up to 640hp. “Electric car” and “fire” are words that EV advocates hate to see in the same sentence. But in the case of a Chevrolet Volt fire last month, the cause was a component found in every vehicle on the road today. 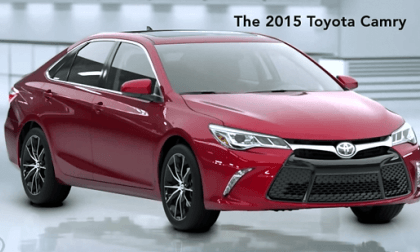 What do the Toyota Camry and skinny-skiing have in common? More than you might assume. 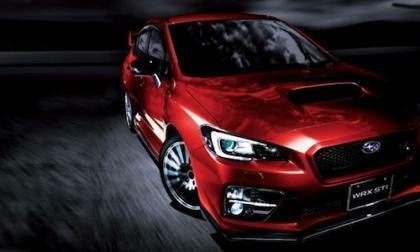 Orders for the 2015 Subaru WRX S4/WRX STI announced on August 25 in Japan have exploded. 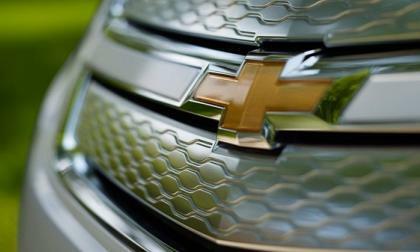 How many performance cars have been ordered? 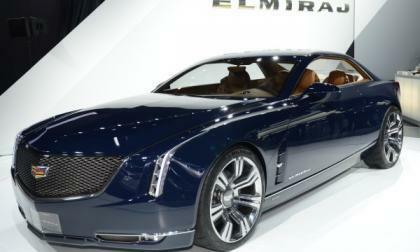 We have known for some time now that the Cadillac brand would introduced a new premium luxury sedan at the 2015 North American International Auto Show in Detroit and today, General Motors announced that the new range topping Caddy sedan would be named the CT6 – bringing with it a new naming system that will spread across the entire brand. 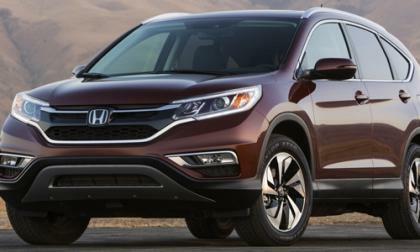 We’ll be driving the tech- updated and design refreshed 2015 Honda CR-V through the streets of Huntington Beach,Ca. Surf City U.S.A. will be the first to witness Honda’s latest offering. Cool? we think so. 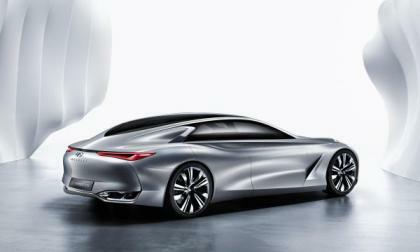 Infiniti will unveil it's new Q80 Inspiration concept at the upcoming Paris Motor Show. Here is a sneak peek. 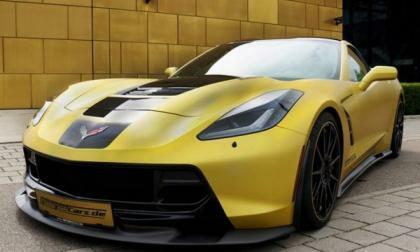 German tuning company GeigerCars has made a name for itself by developing unique packages for European-sold American vehicles and their take on the Chevrolet Corvette Stingray is just the latest in impressive custom packages – turning the basic C7 Stingray into a supercar that will keep up with the best across Europe. 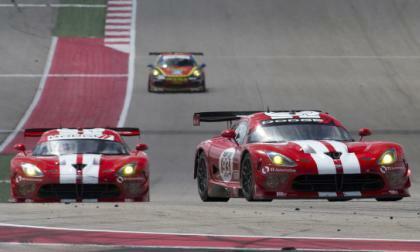 This past weekend was the most successful for the modern Dodge Viper racing program thus far with a Viper taking the win in both production based classes – allowing the #93 Viper to climb ahead of the #3 Corvette in the battle for the GTLM championship with just one race left. 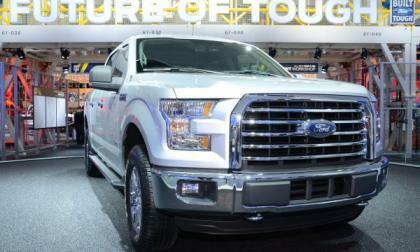 The jurors for the North American Car and Truck of the Year award have announced their short list and, not surprisingly, both the 2015 Ford F150 and the 2015 Ford Mustang are included – and I fully expect to see Ford Motor Company claim both titles with their groundbreaking half ton pickup and sports car.